Time to get the mouse and keyboard out and start up that gaming! A while back I ‘founded’ what we are calling ‘The Wolfpack’, which is the official Picture Atlantic gaming clan! Basically we invite any friends, fans, or fellow musicians to join us in some social gaming. The past month or so has been, more or less, one giant gaming session for me, and I’ve had the pleasure of sharing some of it with Colt Hangen, vocalist of the legendary rock band The Huxtables! Many a night we have survived zombie infested midnight wastelands together and huddled inside a Tauntaun corpse for warmth. War of the Roses: Kingmaker is a brutal game, plain and simple. 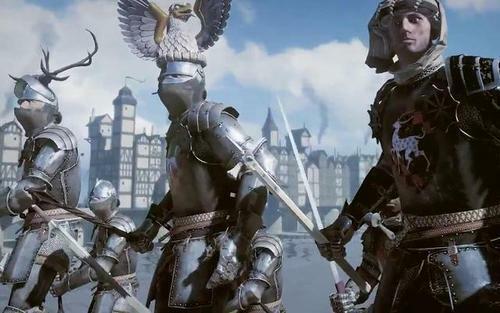 It’s a third person medieval multiplayer action game! It’s based on historical 15th century British civil war, the War of the Roses, in which the houses of Lancaster and York fought for the throne! The War of the Roses is also what author George R.R. Martin used as the basis for his novel Game of Thrones! Click the picture below for some footage of Knights smashing eachother with large metalic sticks. Blacklight: Retribution is a Free to download, and free to play FPS (First Person Shooter) which is available through the Steam store. I’ve had immense fun playing it, and it’s a game that is awesome for a team of players! 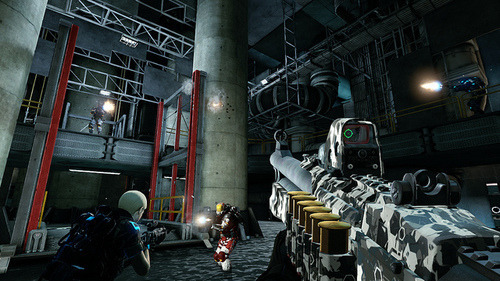 You can click the picture below to see some sweet mind crushing footage of Blacklight: Retribution. 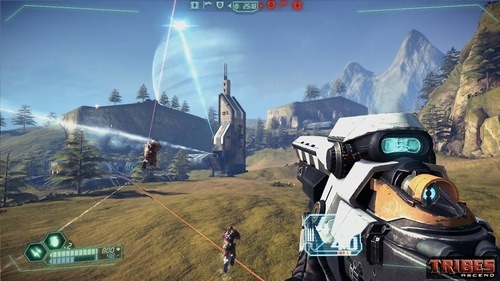 Tribes: Ascend is the next game in the Tribes series (a game I played all through my youth). It’s Free to play off the Steam store, and is totally a team based FPS based in a futuristic world of jetpacks and giant suits of armor! If you like getting frustrat…I mean..’enlightened’ by other players, this is the game for you! If you’re interested in joining The Wolfpack, or trying out some of these games with us, e-mail us at ‘info@pictureatlantic.com' with the subject 'Joining the Wolfpack”. Happy gaming, and see you soon!